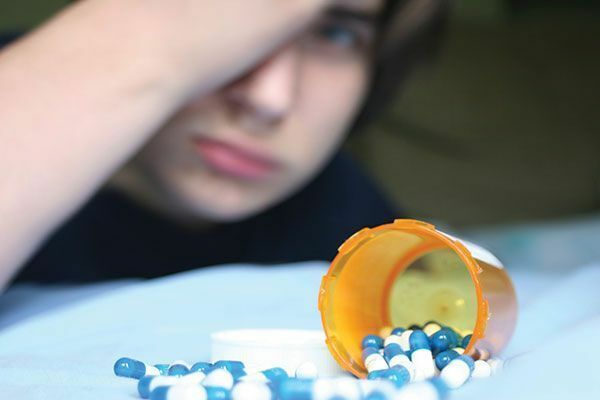 The first in a three-part series on teen substance abuse, this article focuses on measures to prevent temptation, as well as how to recognize signs that your child is partaking in destructive activity. Navigating the uncharted, murky waters of the teenage years can prove to be a particular challenge for parents. During puberty, parents typically struggle to find common ground with their children as they become young adults, dealing with assertion of independence and mood swings. When substance abuse is added to the mix, a parent’s fear is – legitimately – palpable. Frighteningly, substance abuse is beginning earlier and earlier, particularly at the middle school level. Every day, 7,000 young people under the age of 16 have their first drink of alcohol. (Substance Abuse and Mental Health Services Administration (SAMSHA), 2004) and 20 percent of 8th graders report that they have tried marijuana. (http://www.teendrugabuse.us/statistics-on-teenage-drug-use/). But Plano Police Department Sergeant Courtney Pero says there are steps that parents can take to stop drug use before it starts, as well arm their kids with tools to protect themselves from outside influence. Can Being a Helicopter Parent Prevent Teen Substance Abuse? Pero’s and Stevens’ strategy may appear to be the answer to preventing and protecting teens from drug abuse, but some teens may think it’s extreme. Abby F., a 14-year-old eighth grader from Illinois, doesn’t mind her parents checking her Facebook and Instagram activity, but draws the line when it comes to text messages. “Having my parents read my texts would be so annoying,” says the teen. “It would just be weird for my parents to see what’s going on with my friends. I’m a good kid and would never try drugs.” Her mother, Marla, takes the middle-of-the-road approach. “I think that if you talk about the dangers of drugs and alcohol early enough and teach your child how to make good choices, there should be some degree of trust in them.” She adds that it’s important to maintain open communication and let them know they can come to you if approached to try drugs. Yes, you read that right. Drug test your child. Pero says “definitely” do it. The CCSAC, in which Pero’s department is a member, recommends that parents “keep a drug test on your counter at all times and randomly drug test the kids.” Pero adds, “Someday when a kid is approached with drugs, they’ll say ‘I can’t because my parents drug test me’”. Some in the substance abuse awareness and treatment community disagree with the hardline approach. Cecily Craw, Senior Director of Outpatient Services at the nationally-recognized Caron Treatment Centers, which has a center in Dallas, says, “A drug test should be kept in the house ONLY if the parent has a suspicion that their child is engaging in drug use behaviors. In these cases, it would be a good idea to keep a drug test at home and let their child be aware that it is present and can be used at any time.” She notes that the test acts as a reminder for their child to stay away from drug use – to be used as a leverage or deterrent. However, Craw advises, “We highly recommend that if a parent has a concern, that a drug test only be used in conjunction with a professional evaluation and referral to services as appropriate. Changes in their child’s typical appearance, attitude, or behavior. Missing money or increased requests for money. An abrupt change in group of friends, being secretive and defensive regarding these friends, or withdrawing from family relationships. Dropping out of once important activities, general apathy, and lying. Changes in energy level, sleeping patterns, weight gain or loss, clothing choices, as well as red, bloodshot eyes, dilated or constricted pupils, or odors of marijuana. Changes in productivity which could lead to poor grades or attendance at school. Carrie Stevens, Founder and Plano West Substance Abuse Counselor encourage parents to call their teen’s school guidance counselor or substance abuse prevention specialists. The call is confidential and the school will suggest the best community resource for the issue. Next issue: Why do kids get enticed into trying drugs and what can we as parents do to help? The White House Office of National Drug Control Policy (ONDCP) has compiled a database of more than 2,300 street terms that refer to specific drug types or drug activity. The following list is not all-inclusive but features some common code words of which to be aware. Can cause death. A synthetic form of LSD ingested in liquid form, powder, a tablet, on blotter paper, or taken with Sweet-Tart candy. Dangerous and can be disguised as candy. Typically used by individuals between the ages of 15 and 29. Names for Butane Hash Oil. Marijuana is mixed with butane to release the oil which then has a high concentration of tetrahydrocannabinol (THC), increasing its potency even when used in small amounts. Drug dealers can mix it into candy so it looks like Jolly Ranchers, Tootsie Rolls, or other candy. The number “710” when viewed upside down reads “oil” and is a code for Butane Hash Oil. Several companies sell shirts and other novelty items with this number on it. Question your child if you see “710” on anything they own. Represents the date April 20th (4/20) which is often referred to as National Pot Smoking Day. If you notice children wearing clothing with “420” or pictures of marijuana leaves, it could be an indication that they are using the drug and want to let others know they use. Code word for Xanax, a highly abused anti-anxiety medication. A synthetic stimulant and hallucinogen that produces effects similar to Ecstasy. Dextromethorphan (DXM), a drug found in over-the-counter cough suppressants. At a high dosage, it becomes a hallucinogen. Those who use DXM are called “syrup heads”. Abusing cough syrup. Also called “robotripping” or “robodosing”, in reference to the cough suppressant Robitussin. The abbreviation stands for Coricidin HBP Cough and Cold. Kids are ingesting an entire blister pack at once which can cause them to hallucinate and make them feel intoxicated. A mixture of cough syrup and Sprite or a purple colored liquid. “Lean” is most notably referred to in the lyrics of Lil Wayne, a rap music artist popular with teens. Be on the alert for this term which essentially means a “Day Party” where kids have friends over to party while their parents are away at work. Carrie Stevens, Plano West Substance Abuse Counselor and founder of the drug education organization Collin County Substance Abuse Coalition (CCSAC). National Institute on Drug Abuse (NIDA), a division of the National Institutes of Health (NIH). Facts about the most commonly abused drugs, including street and clinical names, the effects of the drug on the brain and body, and statistics and trends. (http://www.drugabuse.gov/drugs-abuse/commonly-abused-drugs-charts/commonly-abused-drugs-chart). The White House Office of National Drug Control Policy (ONDCP). Database of more than 2,300 street terms that refer to specific drug types or drug activity. Getting Guidance: School Counselor or Independent Counselor?